This is pretty cool. Lots of garden things growing. Hurry up. There’s more to see. 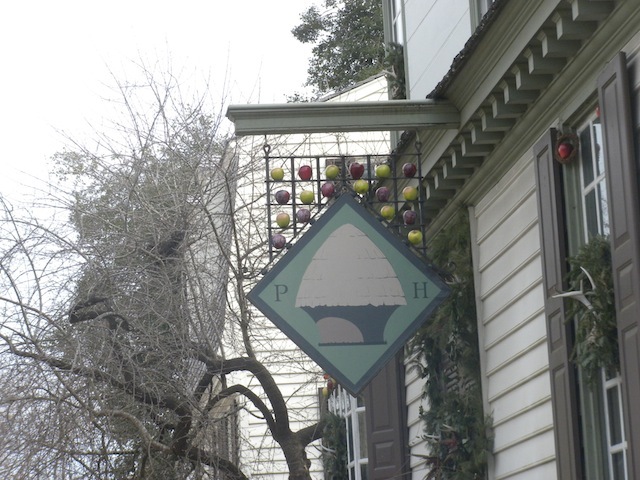 How’d they get those apples up in that sign? Why would anybody do that? A pretty wreath. With feathers and things in it. But is it really a wreath? 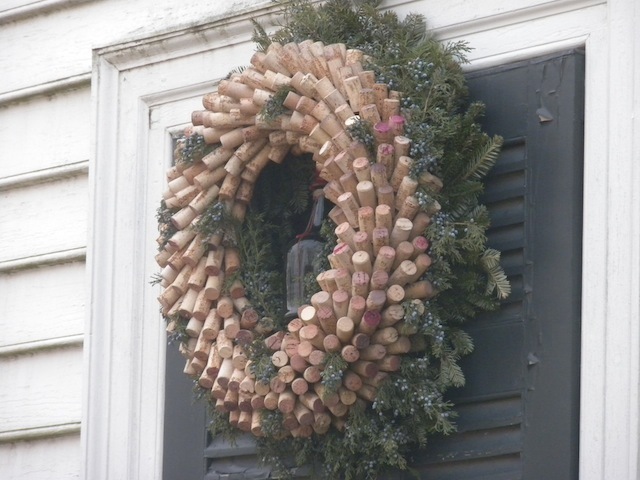 Guess somebody had to drink a lot of wine to make this wreath. I mean, a LOT of wine. 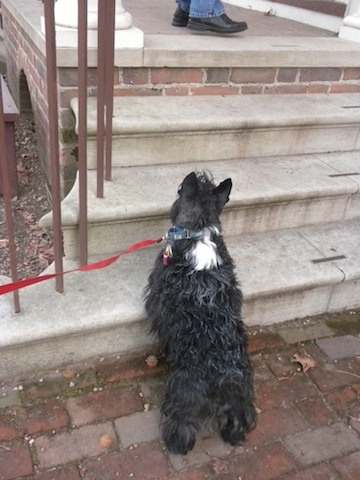 This looks like as good a place as any to pee. 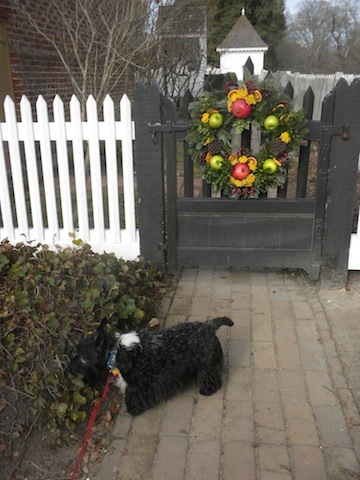 Right near this pretty gate wreath. 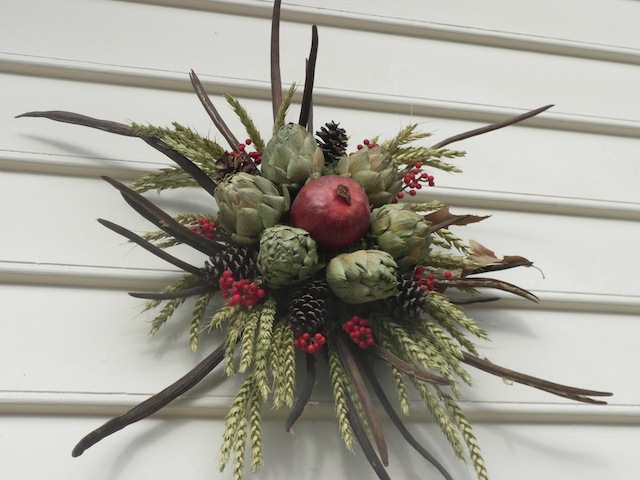 A cool wreath and arti-chokes, pine cones, holly berries, pods and some kind of wheat or grass thingeys. OK. Many of you know I’ve been to this place before. But not in a looooong time. A few years at least. It’s on the way to our annual beach trip. And last Saturday, you know I was at Jockey’s Ridge North Carolina. On the Outer Banks. So where I am today? 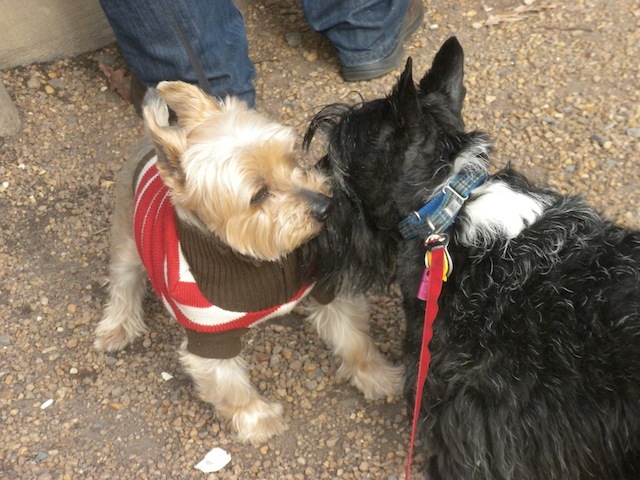 Come back on Monday and I’ll tell you. Start your guessing engines. 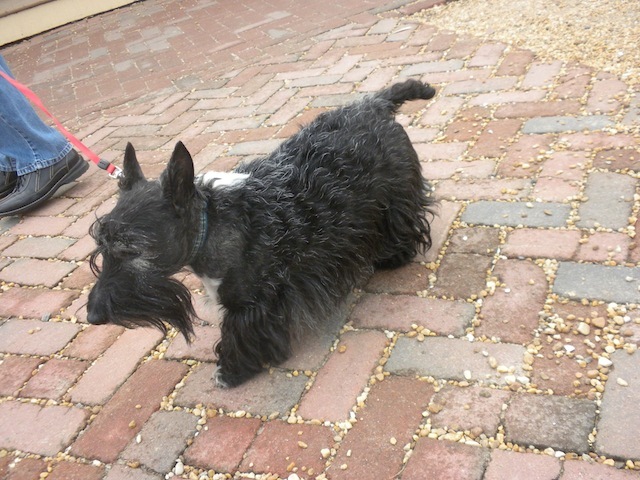 This entry was posted in Scotties, Scottish Terriers, The Scottie Chronicles and tagged Christmas decorations, holiday decorations, Scotties, travel, wreaths. Bookmark the permalink. maybe that’s the apple-store where they sell that compawters and phones what drive people crazy? With all that snow falling and all those Christmas wreaths, it has to be the North Pole. I’m so excited, Stuart, I am sure I know where your are! 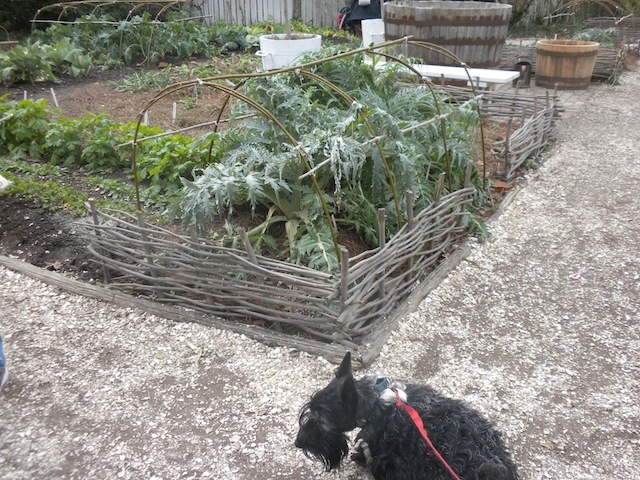 A drum roll please… Colonial Williamsburg, VA! My peep loves it there – she has lots of books about it, too, and decorates over our front door with pineapples, apples and lemons and puts apples on the wreath for the door for Christmas. We get lots of compliments because most people are not familiar with that. I bet you had a great time, it’s like traveling back in time when you visit there! 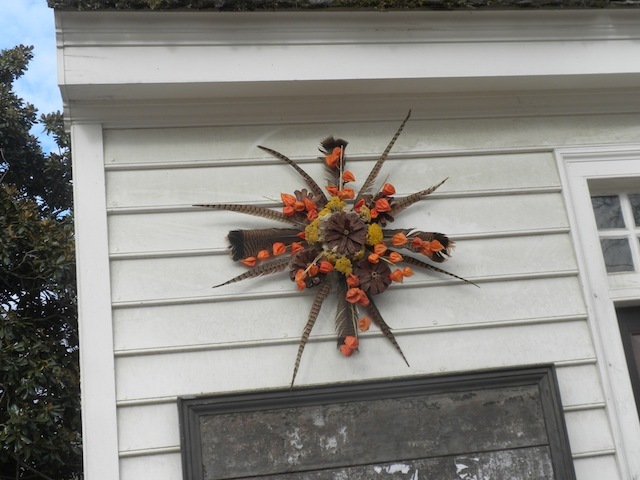 cool wreaths. It has been so hot in Florida that everything is in bloom. We shall say Williamsburg or Chesapeake because we can’t agree on one. Woof! Lovely scenery. Now Andy says Salem, but that is the wrong DIRection. He’s got his tail turned around. how cool. Did you taste any of that salad stuff?